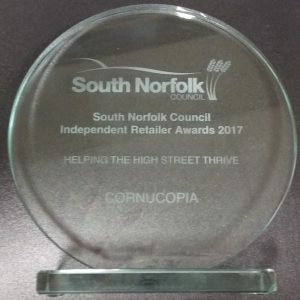 Cornucopia are winners at the South Norfolk Independent Retailer Awards 2017! 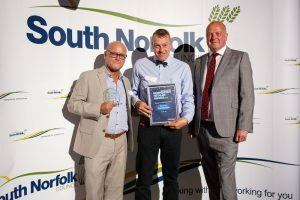 We are absolutely delighted to be winners of the South Norfolk Independent Retailers Award 2017 for “Helping the High Street Thrive”. Thank you so much to all of our customers who voted for us and to all our traders for their continued support. 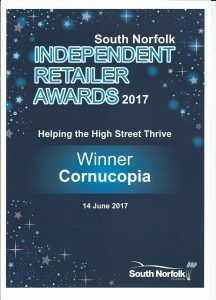 It is great to be recognised for this achievement and we will continue to support and promote the retail viability of our lovely town going forward.